Mexico City (Agenzia Fides) - "As brothers in Christ and members of one family, the Church. First of all we want to express our closeness in prayer that sustains us in our labors and difficulties; secondly, we want to show you solidarity in charity, offering, on behalf of our Catholic communities, the support to your needs". This is what is written in the message of the Episcopal Conference of Mexico (CEM) addressed "to our brother Bishops of Venezuela", signed by the President and the Secretary of CEM, respectively Rogelio Cabrera López, Archbishop of Monterrey and Alfonso G. Miranda Guardiola, Auxiliary Bishop of Monterrey, with the date of January 30th. The text, sent to Agenzia Fides, opens with a biblical verse from the book of the prophet Jeremiah (29:11): "I know the projects I have for you, projects of peace and not of misfortune, to grant you a future full of hope". Therefore the Mexican Bishops write: "The Church has only one feeling in defense of the dignity of man, of respect and custody of his universal rights, fundamentally life, freedom and justice, that is why the Bishops of Mexico stand in solidarity and unite their voices to the brother Bishops of Venezuela, who denounce and complain about the deterioration of democratic life in their country". 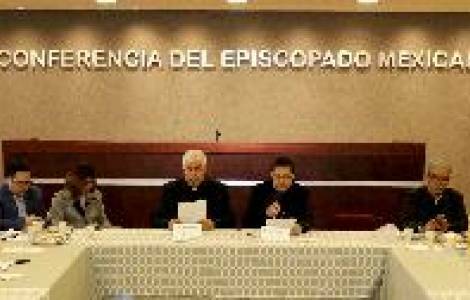 The Bishops say they know "the dramatic and extremely serious situation" that the Venezuelans live very well, due to the "deterioration in the respect of their rights and the quality of their lives". "Much blood has already been poured for the defense of their freedoms" they underline, praising the service carried out by the Bishops and their prophetic voice claiming for the proper welfare of their people, calling to listen to the cry of the Venezuelans for a change.